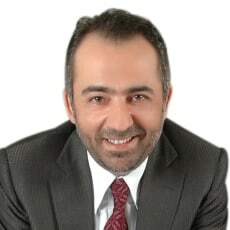 Serbülent Baykan is the founder of BaykanIdea Law Offices. He graduated from Izmir Treasury Business High School and was educated in Dokuz Eylul University Faculty of Economics for two years. Participated as an inspector in some units of Revenue Offices. He graduated from the Faculty of Law, Istanbul University (1992 to 1996). He worked as judge during 1997 to 2000. He completed his LLM on the law of economics and competition law at Istanbul Bilgi University and his doctoral examination is still pending at Kadir Has University.